This Journal is in process of appointing Editorial Board Members for International Journal of Soft Computing & Software Engineering (JSCSE). 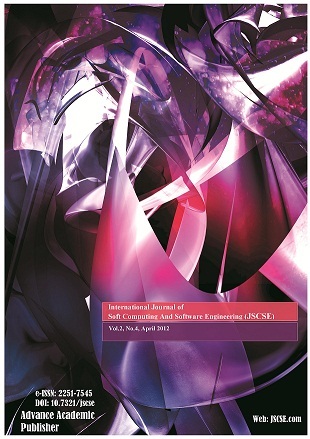 Our Journals would like to invite interested candidates to join JSCSE network of professionals/researchers for the positions of Editor-in-Chief, Associate Editor-in-Chief, Editorial Board Members and Reviewers. The invitation encourages interested professionals to contribute into our research network by joining as a part of editorial board members and reviewers for scientific peer-reviewed journals. All journals use an online, electronic submission process. The Editor is responsible for the timely and substantive output of the journal, including the solicitation of manuscripts, supervision of the peer review process and the final selection of articles for publication. Responsibilities also include implementing the journal’s editorial policies, maintaining high professional standards for published content, ensuring the integrity of the journal, guiding manuscripts through the review process, overseeing revisions, and planning special issues along with the editorial team. board in working effectively with publishing professionals. Applicants must have clear employer or institutional support for this activity for the duration of the three-year appointment, including release time as necessary and general office support.